A terrorism expert and Islamic critic says it is ludicrous for President Obama to heap praise on Muslims for their "contributions" to the building of the United States. "The fact is there simply isn't any Muslim accomplishments in American history," says Robert Spencer of Jihad Watch. 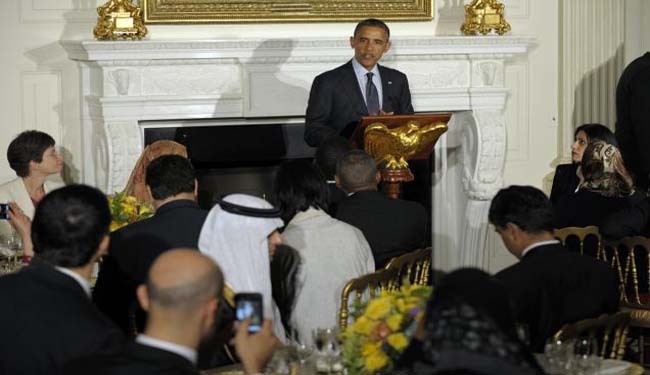 "Obama Has a History of Giving Deference to Islam"
As Muslims continue to observe the time of Ramadan, President Obama recently took yet another opportunity to praise them, saying "Muslim Americans and their good works have helped to build our nation and we've seen the results." But Spencer can't find any references in history books that support the president's claim. "Muslims weren't even in this country until the 20th Century in any significant numbers and never had played a role in any significant event in American history, and so it's complete revisionism," Spencer tells OneNewsNow. Spencer says Obama has a history of giving deference to Islam, though there's never been praise for the accomplishments of Jewish Americans or Christian Americans. "All the way through his presidency," Spencer says of Obama, "he has made clear in the pandering to Islam going back several years to him saying the United States is one of the largest Muslim countries in the world in terms of population, which is absolutely false." Spencer says instead of pandering to Islam, Obama ought to be championing the Judeo-Christian values on which this country was built.